Mary Blaine (Croxson) Prince, 71, of Bradford, passed away Friday, January 18, 2019 at the Bradford Manor. Born on February 28, 1947 in Roanoke, VA, she was the daughter of the late Everett Francis Croxson, Jr. and V. Jeralene (Cox) Croxson. Mary Blaine attended James Madison University in Harrisonburg, VA, and later earned a master’s degree in biology. She taught biology at the University of Pittsburgh at Bradford for many years. Although Mary Blaine raised her family in Pennsylvania, she always held a deep love for her family’s farm in Virginia. Mary Blaine was an active member of the Episcopal Church of the Ascension, where she served on the Altar Guild, and in the Episcopal Diocese of Northwestern Pennsylvania. Mary Blaine loved nature and had a creative spirit. She tried her hand at many crafts and hobbies including sewing, crochet, flower arranging, bird watching, and weaving. She collected pottery and baskets. Mary Blaine was a member of many book clubs, the Red Hat Society, and the Weaver’s Guild. She loved sharing her interests with children, often leading Vacation Bible School activities and nature walks. 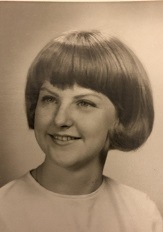 Mary Blaine is survived by two sons, Edward (Andrea) Prince, of Bradford, and Andrew Prince, of Pittsburgh; one daughter Elizabeth Prince, of Pittsburgh; two granddaughters, Emily and Bella; and one brother, Everett Croxson, III, of Galax, VA.
A memorial service will be held, Saturday, February 2, 2019 at 11:00am at the Episcopal Church of Ascension, 26 Chautauqua Place, Bradford, with Rev. Stacey Fussell Rector, officiating. Interment will follow in the Church of Ascension columbarium. Memorial donations can be made to the Church of Ascension or the McKean County SPCA. Arrangements are under the direction of Hollenbeck-Cahill Funeral Homes, Inc. I am surprised and saddened to learn of Mary''s death. Although I was merely a passing acquaintance of hers, I enjoyed the few times that our paths crossed and that we spoke to each other. I am saddened to learn of Mary Blaine''s passing and may her family find comfort in the days ahead. She had a passion for her life, and for sharing knowledge. Working with her at Pitt Bradford, she was always willing to help students and colleagues in any way possible. As we both hailed from Roanoke, we shared many stories of our love for the beauty and peace in the mountains and lands of SW Virginia! She will be missed! It is difficult, to say the least, to put into words the impact that Mary Blaine has had and will come to have upon this world. Her silent, inner calm - along with her always-ready laugh - has spoken wonders to a world which hungers for peace and unwittingly seeks its opposite. While her example has the power to shame us, let us instead ask what what sort of exemplar she, herself, would have us be. During my time at Pitt-Bradford, Mary Blaine would always stop by my Biology desk and share a story and have that beautiful smile. My sympathies to the family. I will miss Mary Blaine very much. She was so supportive of me and my family over the years. She was also a fantastic biology teacher, colleague, mentor, and friend. Every time I teach lab (including yesterday! ), I use materials that are still labeled with her beautiful handwriting. She is missed! Mary Blaine was a dear friend to me and allowed the use of her house when I was a commuter from Franklin to Bradford. We shared many of the same interests and had some lively discussions about our views on faith and the afterlife. We also shared a love of Chautauqua. I am truly saddened by her passing.